Today in music news comes word of an impending release that is absolutely going to set the world on fire, if by “the world” you mean the “hot alternative buzz” section of a mall Sam Goody from 20 years ago. 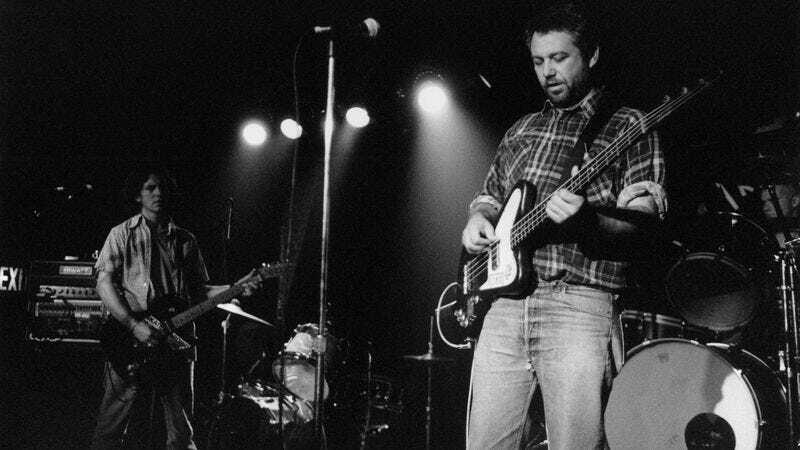 Columbia Legacy Recordings are teaming up to issue a live album of ex-fIREHOSE/Minutemen bassist Mike Watt from 1995, called “Ring Spiel” Tour ’95. Those of you old enough to recall the details will know this was the superstar-laden tour Watt assembled in the wake of his solo album, Ball-Hog Or Tugboat? With opening bands Hovercraft (featuring Eddie Vedder) and Foo Fighters (pre-stadium-level fame, when the rhythm section was still both guys from Sunny Day Real Estate), Watt stacked his own group’s lineup with members of both acts. Meaning, this new live double album features Vedder, Dave Grohl, Pat Smear, and William Goldsmith. Complete track listing is below (preorders available here) to remind you of those solo Watt tunes, since you haven’t owned them since you sold Tugboat back to the used store, because that oversize novelty CD case it came in was just ridiculous.